I’m very excited to share the sixteenth episode of the Woolful podcast. Today we get to meet two very enthusiastic fiber folks from Vermont, both of whom have had quite the journey to where they are today…Michael Hampton of Hampton Fiber Mill and Tamara White of Wing and a Prayer Farm. Sponsor: This episode is sponsored by Taproot Magazine, a quarterly print magazine full of delightful stories and photos written by and for people living fuller and digging deeper. Each issue is created around a subtle theme, featuring amazing recipes, crafts, and tales, all with the intention of inspiring people who are interested in deepening their connections to their families, communities, and themselves as they strive to live locally and closer to the ground. You can visit Taproot Magazine online at Taprootmag.com and on Instagram @taprootmag. 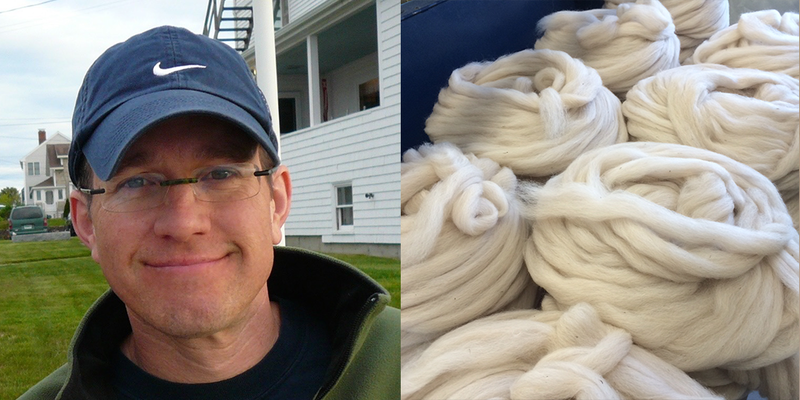 Fiber folk 1: Michael is a passionate knitter, spinner, and fiber mill entrepreneur. He’s been on an exciting journey from engineer to now building and operating a fiber mill in Richmond, Vermont where he mills a very exhaustive list of wools and fibers, including our second guest Tamara’s beautiful yarn. His enthusiasm and excitement for fiber and helping bring something back to this community and industry is a really wonderful thing. You can find him at Hamptonfibermill.com and on Instagram @hamptonfibermill. For this week’s “Man on the Street” I asked a handful of fiber enthusiasts to answer a question, shared by Samantha in our Raverly group. “Is there a project that inspired you to improve your skills?” We had some amazing replies from Nikki @woolenviolet and Leanne @leannecoppola. 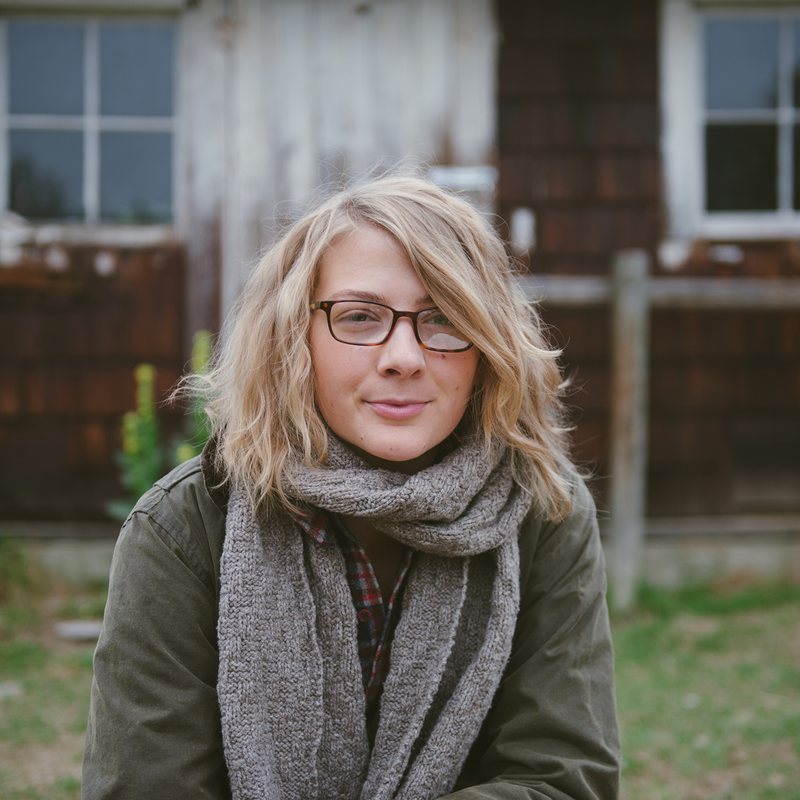 Fiber folk 2: Our next guest, Tamara is a gem among farmers, fiber folks and friends. We were lucky enough to have her and her daughters SJ and Char, stay for a visit last week at our home. Our time together was filled with laughter, good food, Vermont maple syrup and plenty of farm stories and it was great to be able to talk and record our chat in person as we all sat on the living room floor. 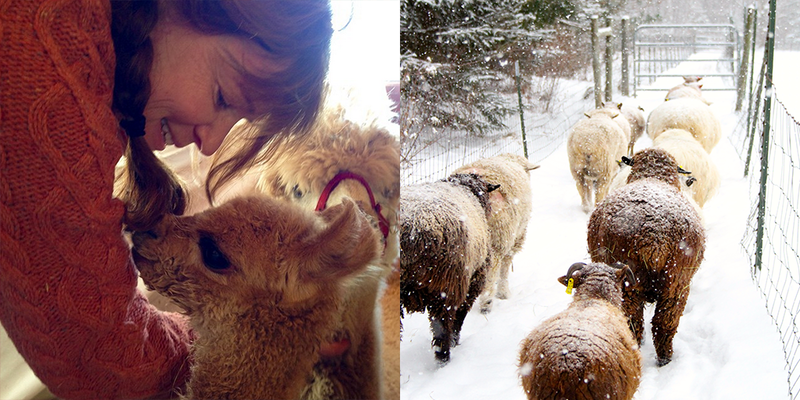 She is a true testament of strength, compassion and her love of fiber farming and her animals is infectious. You can find her at wingandaprayerfarm.com and on Instagram @wingandaprayerfarm. The winner of last week’s giveaway, is Jessica from Mittens and Mason Jars! You’ve won 5 skeins of the Westcountry Tweed yarn from Blacker Yarns. Congratulations! This week’s giveaway is sponsored by Taproot Magazine, and we’re giving away a two year subscription to this wonderful publication that brings so much to this community. To enter this giveaway, leave a comment below. Can’t wait to listen to this one on my run today! This was an endearing podcast for me as a former vermont shepherdess and woolen mill worker.Both journeys kept us informed and engaged and the joyfilled spirit captivated all.Your questions were important and indepth giving all new information of fibermill LIFE.Tamaras love of her animals shone forth and her pragmatic sense of a utilitarian farm showed management maturity.Thank you for yet another gift from Woolful. Oh, I love taproot! I met some of them at common ground fair (in Maine) last year and they were wonderful. I’ve been following Tamara on Instagram for a good while now. So excited to see her yarns in your shop and can’t wait to listen to the podcast! You have been able to interview so many wonderful guests. Thank you. This is how i start every Tuesday morning! Thanks for all that you do! Loved this episode and hearing from some of Vermont’s most thoughtful fiber enthusiasts! The Wing & A Prayer Farm gals are gems. Thank you for these weekly pod casts! 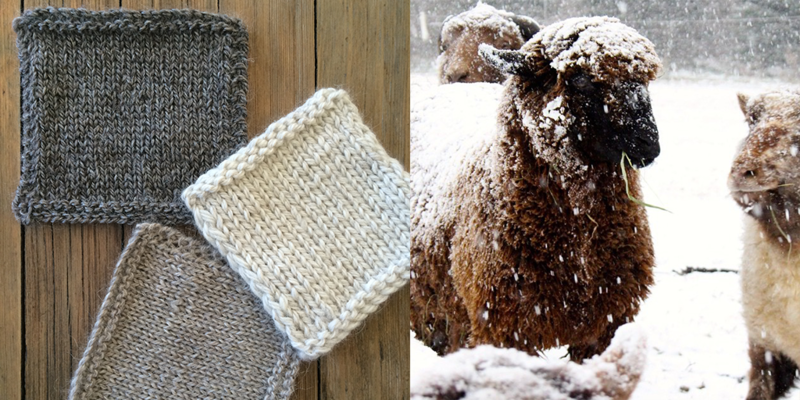 I don’t think I will ever own a mill, or even my own sheep – but I love learning about the process, and especially the people that make it possible to purchase amazing yarn to knit with. I have been meaning to check out taproot magazine. It looks lovely! I just love your podcast and enjoy learning about people who are doing wonderful fiber related things. Thanks so much for sharing all of that with us. So excited to listen to this later on tonight! Thanks for sharing! Love your podcasts so much!! Keep them coming! That would be wonderful to renew my taproot subscription!! I would love to win the subscription. I tried to find the magazine a couple months ago because there was a cute cardigan pattern in it. Alas, it was nowhere to be found near me. I called Barnes & Noble and they hadn’t even heard of it. It would be great to see it in some local venues. I once had three sheep, 2 suffolks and a cheviot, and a spinning wheel. I regret not making better use of the wool and the wheel :-(. I took a class in spinning but never quite got the hang of it. Plus, raising kids, going to work, and just plain life got in the way. Now that I am looking toward retirement, I hope I can at least try to get back on the wheel. These interviews uplift me and give me hope. Have been knitting since age 12. Ahhh! So excited to hear from two fellow Vermonters. Thank you for doing these amazing podcasts. another great podcast! I am a big fan of taproot too! Another lovely podcast! Dreaming of sheep! So Excited to have another podcast to listen to! Look forward to these each week! Enjoyed the podcast! Michael’s enthusiasm is contagious – fun interview! Fantastic podcast this week with your two awesome fiber folks. I have been following Tamara’s farm on Instagram for awhile, and it was great to hear her and her girls talk about their animals. So much love and passion for their livestock. I was walking past my local bookstore yesterday and was thrilled to see Taproot showcased in the window! Song is the first issue that I have read, and needless to say I am hooked! Glad to see that they are now a sponsor of woolful. Learning so much listening to your podcasts! Thanks to you and everyone you introduce us to. Started the episode on my drive in this morning and plan to finish it on the way home! Always interested in a new craft magazine! I love how positive your podcast is! A new magazine! What luxury! I want to thank you for all those amazing podcasts, I’ve learned so much with them.. It’s now a wonderful moment to listen , even from France! Thank you again. I want to thank you for all those amazing podcasts, I’ve learned so much with them.. It’s now a wonderful moment to listen , even from France! Thank you again for all. Loved today’s podcast and LOVE Taproot! This is the first time in many weeks I won’t be able to listen to the new podcast the day that it’s released! Looks like another interesting conversation — would still love to be entered into the draw! Love Taproot! I gifted my mum with a subscription last November for her birthday. Would love to have my own copies! I loved today’s episode. It was great how you told the story of the mill, then of a shepherdess who takes her wool to that mill. I also want to learn more about fermentation. I love hearing about mills. And I loved hearing the “bad” animal husbandry stories. All sheep should live on a wing and a prayer farm! oh my goodness. taproot magazine looks fantastic. I just discovered your podcast….I love it, thank you! I live near some of the mills, so I need a road trip. Oh it’s too late tonight to listen so it will have to wait till’ tomorrow. Dang. My collection of Taproot has a special shelf in my work room. I’m just starting my first sweater ever using the barn sweater pattern. I thrifted 10 skeins of a pretty light grey with missing labels and I’m using it as if it were muslin, is this dumb. My family would adore this! Thank you for the opportunity! Lovely podcast, yet again. I would love to try Taproot. It sounds like a magazine that is just up my alley. Thanks. Hi, I thoroughly enjoy listening to your podcasts as you always manage to find such interesting people to talk to. I thoroughly enjoyed this episode, and learned interesting things as usual. Thanks for the opportunity to win a Taproots subscription. I have a bit of catch-up to do listening to each and every incredible podcasts! Love meeting the fiber/farm community and sharing the passion of fiber lov’n! I also subscribe to Taproot! We all share a common thread! Perfect! Loved hearing the stories about Tamara and her daughters interaction with their animals:-) Another fabulous podcast! The podcasts are wonderful and I hope that they spur even more support for local business. I have read so many blogs mentioning Taproot magazine and I would love to be able to finally read an issue. Love this podcast! Keep up the good work. Taproot magazine is a favorite of mine. Lovely podcast as usual. Makes me kind of sad that I didn’t come to my love of fiber until later in my life. How much I could have accomplished if I were younger. I love hearing more and more about folks producing real wool as opposed to the over processed mass produced yarn that hardly resembles the animal it came from. Keep up the good work and follow your dreams! Such a great episode. Michael always gives a good interview. About to start listening to the podcast and excited about the giveaway this week. Wonderful to be introduced to so many new things! Another wonderful podcast. Interesting content and guests. So exciting! I love Taproot! As usual, Woolful as has left me amazingly inspired! Oh I just LOVE the enthusiasm of this episode! So inspiring! I would love you podcast, I learn so much from each of the episodes. Taproot sounds like a wonderful magazine. Another lovely episode, thank you! I absolutely loved this episode. I will have to listen to it again I think. Just beautiful. It’s such a treat each week to “meet” such lovely people. Thanks for bringing them into my life this way! I’ve really enjoyed the interview with Tamara. I’ve been in a similar position of people asking me to take on more sheep, alpacas, horses even camels! But I have only 9 acres so I have to be quite selective, and only take animals who add variety to my “Fibre Stash Paddock”. I really enjoyed this episode – I haven’t had any idea about how a fiber mill is run, and I loved hearing about Tamara’s sheep and alpacas! I have seen Taproot mentioned on several blogs, but haven’t yet had a chance to enjoy it. I ordered two back issues of Taproot on line. It is a beautiful magazine. I took one to knitting group at my Lys and they enjoyed it. Would love a subscription. I have been wanting to pick up this magazine. Thank for the offer! Another amazing episode Ashley! You’re killin it! I love listening to your podcast! It’s been wonderful to dig deeper into the craft of knitting and to understand where the yarn I use originates. You’ve opened my eyes and answered questions I didn’t even know I had! Thank you! Once again a wonderful episode! I always wanted to live on a farm with livestock. And I married a guy with a similar dream… unfortunately, his health has gotten in the way. I wouldn’t want to try to take care of livestock and him both. But it was lovely to hear her stories. Thank you again for a great podcast. I have not heard of taproot, sounds very interesting. Off to sley my loom! I just finished listening and I was crying and laughing…………what a wonderful story. Thank you!! I have never read this magazine but I am always so curious about it whenever I see it in online yarn shops. I truly enjoy listening to the podcasts on my way to and from work. It has brought such a breath of fresh air to my life and even though I have not found a fiber community in my area, I feel like I connect with the fiber podcast community. I love Taproot magazine! Perhaps I will find myself following my dreams of getting back to visit Vermont, or even live there. So many nice and interesting people you have on your podcast! I love it. And Taproot is great. Just discovered this podcast a couple weeks ago and it’s perfect. Thank you for what you do! A fun and interesting podcast, thank you again. Your very enthusiastic guests made me laugh eg about the “sheeple”. Taproot magazine looks interesting too. Thanks for the chance. This was a fantastic and fascinating episode. It was great to listen to Michael talk about his mill. Thanks again for another great episode! It’s a highlight of my week! I would love to win a subscription to Taproot! What a treat. Thanks for the wonderful podcast! I’ve been loving Woolful podcast!! I make salves and love creating with my hands. I knit in any extra time I have after being a mom, making salves, working, and practicing banjo! Thanks for everything you do! This has quickly become a must-listen podcast for me! Loved hearing tamara’s stories, even though it’s a world away from my life in DC. I so enjoyed Michael’s happy and funny personality! He was a joy to listen to. I am learning a lot from these podcasts; thank you! Great episode (as always)! Your two guests are so enthusiastic… so inspiring. Thanks! I greatly enjoy your podcast as I learn so many new things with each listen. I found it interesting that Michael uses a bit of dishwashing liquid as part of his scouring mix. 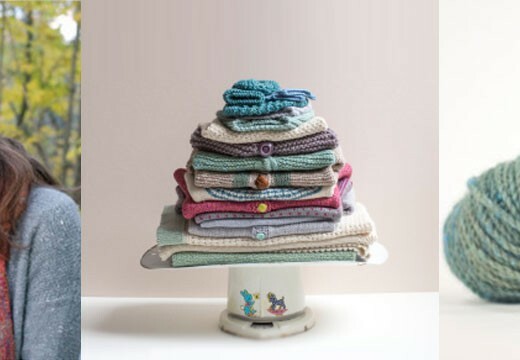 I’ve always used a ‘sensitive skin’ (ie no dyes or perfumes) dishwashing liquid to block my knitting with, rather then something fancier, and have found that it works great. I LOVED this podcast! Thank you! I have always wanted to try Taproot. Taproot looks awesome! Thanks for the thought provoking and inspiring podcast. I’ve read blogs on Taproot and just love it. I would love to win a subscription to the magazine. Just found your blog and podcast and loving it, very informative. Suuch great stories. Tamara’s love for her animals made me feel like my life will not be complete without some of my own. What a phenomenal podcast. I am delighted every time a new one appears, and even though my family aren’t fiber folk, they love to listen to it in the car. Thank you! love your podcast, and now I’ll have to check out Taproot as well! As a Vermonter, I am so thrilled to hear this podcast! I enjoyed this podcast and it’s lovely lovely guests a lot! Listening to your podcasts makes my 3 hour commute infinitely more enjoyable. Thank you! I love hearing from New Englanders as I am from Maine. I love it when enthusiasm just shines through like this! This was the most fun yet. Also, Taproot looks amazing! Thank you for another great podcast. I love hearing about the life experiences of so many artists and artisans. I love Taproot magazine! I’m looking forward to listening to this episode. Would love to receive Taproot! What a great giveaway! I just starting listening to your podcast, every week Tuesday morning. Love the insight into cottage fiber business. One of the most inspiring episodes yet! I loved your guests this week and am growing more wool obsessed. Thank you! I’m so glad I found your podcast recently – I love listening! 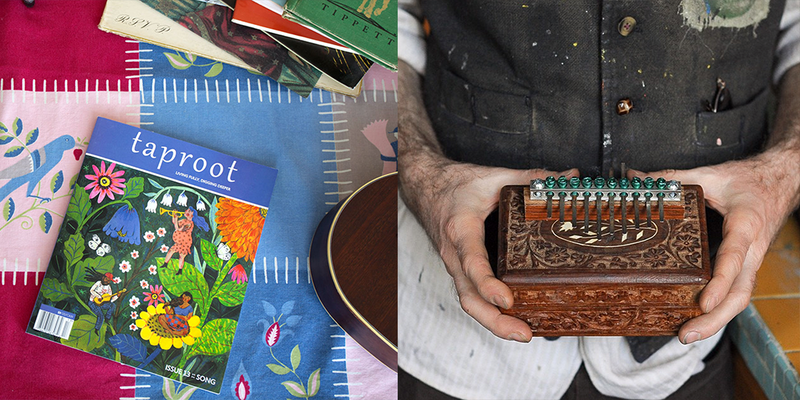 And Taproot is my favorite magazine – what a great combo! 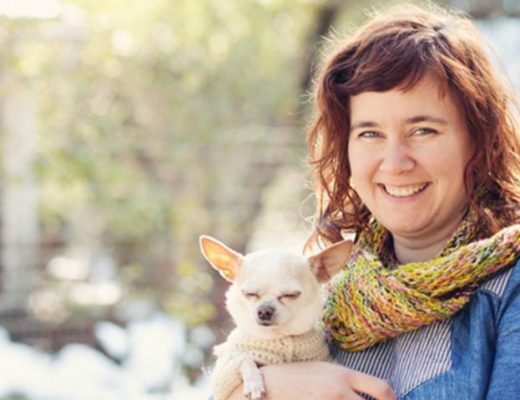 As a brand new knitter I am just loving your podcasts and getting to meet such fascinating folks so deeply involved in the fiber making, yarn loving, sheep raising communities! It’s a whole new world to me and I love it! And Taproot is my favorite magazine! I would just be thrilled to win a subscription! This week was especially inspiring to me as I continue my search for a mill for my upcoming yarn adventure! Michael’s generosity and enthusiasm was truly appreciated. I also loved Tamara’s infectious excitement about her adventures in fiber farming! I really loved this podcast! I’d love to win the subscription. Thank you for such a wonderful and inspiring podcast. Each week I love tuning in. I find Woolful so grounding, it is a faithful reminder of what we have in the fibre community. I have needed this more than ever recently, and am always grateful for your episodes each week. Taproot is such a great magazine! A free two year subscription would be awesome! Love your podcasts and love Taproot! I love Taproot! A subscription is definitely on my wish list. Thanks so much for this an all episodes, I’ve learned so much from you and the wonderful people you interview! To finally be able to hear Tammy’s precious story after ordering her farm yarn, emailing with her and following her IG, was coming full circle. How wonderful to be able to spend time with her! 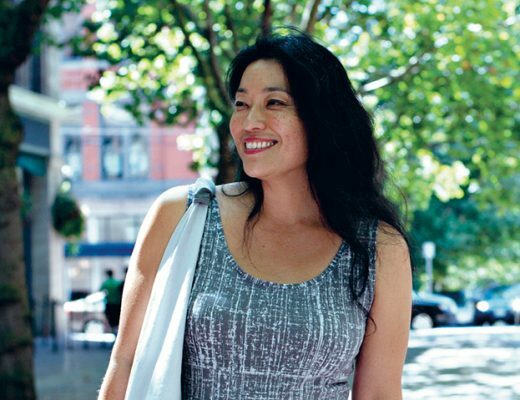 I am fascinated by stories of people pursuing their deepest passions. Your podcast allows weekly insights to other paths and other worlds that motivate me in my own. Thank you! A subscription to Taproot would be icing on a rich cake. So, so good! Love how happy and excited this podcast makes me. Two years of Taproot would be fantastic! Would love to try Taproot. Your podcast adds so much to my fiber journey. Thx! Wonderful podcasts, I just found you recently and am enjoying them immensely! Loved hearing about the innerworking of a mill! Lovely podcast with great info wrapped into great stories! I’ve been with Taproot since the beginning and am so excited to see it thriving! Thank you for the giveaway. 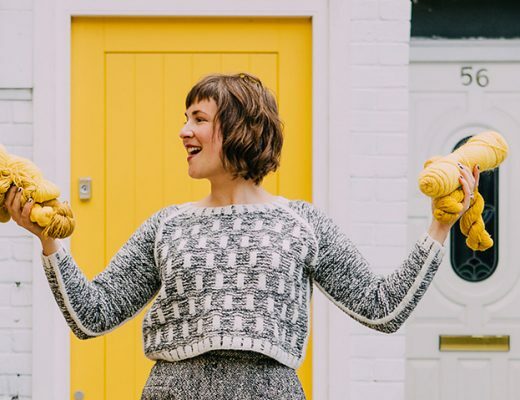 I love that your podcast has made connections between a passion for wool/knitting and a whole world of conscious consuming and living. Thanks for interviewing such a great group of people! I love Taproot and I reeaalllly want to move to Vermont!! I’m both a male knitter and a native Vermonter! Great to hear of these wonderful things happening back close to my home town! Thanks for allowing me to take a little vacation from the Bay Area back to where I come from! Oh my god ! I absolutely looove Taproot ! Loved. This. Episode. And I love that so many men are featured on this series. More men need to be interested in fiber arts. Excellent episode and wonderful give away! 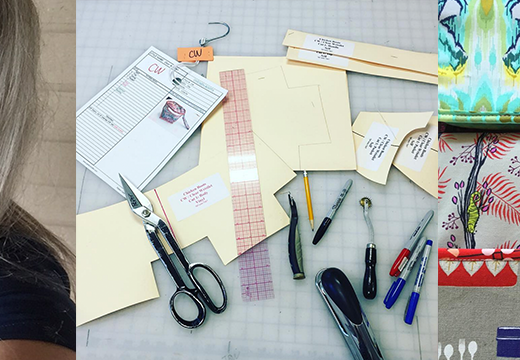 I love the homegrown and handmade inspiration that Woolful and Taproot provide! Would love to win as I have been interested in this magazine. Thanks for such a fun podcast! Your podcast has helped me get through long hours of my day job. I need the distraction and love learning while I do it until I can get home to knit draw and make pottery- so thank you! I am now filled with so much knowledge and even more appreciation of the world of fiber 🙂 Keep it up! I really love your podcasts, which are constantly deepening my love for small-farm fibres. I also love Taproot but wasn’t able to afford a subscription this year – would love to win the giveaway! Thank you for all you do. I’ve been enjoying your podcasts so much! And, of course, I’d love to win a subscription to Taproot! I love woolful and would love a subscription to Taproot! Another inspiring episode! It’s so wonderful to listen to people talk about their passions. Taproot would be wonderful to receive! From your podcast, I asked every vendor at the DFW FIBERFEST where their base fiber came from. While I was dismayed at how many didn’t even know, I found some wonderful outlets for US and small farm fiber. Thanks for opening my eyes. 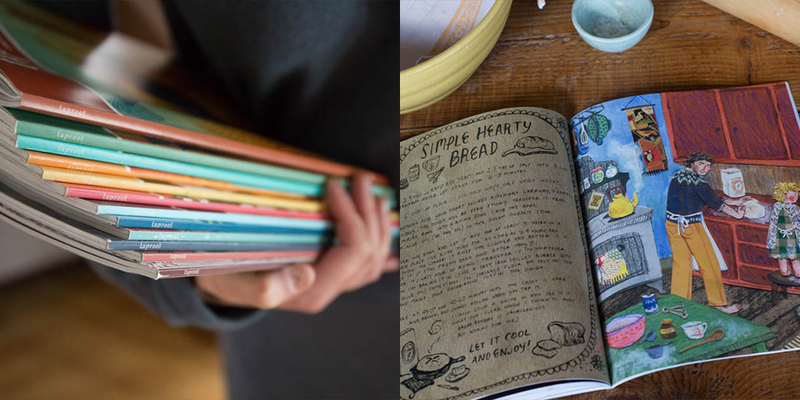 Love Taproot – it’s a beautiful magazine with a lot of interesting articles! Oh, I only just realized. Yes, please! I am currently obsessively listening to all your past podcasts, currently on 9. At work today, I caught myself trying to figure out if I could listen and still somehow concentrate on my work. Keep up the good work! Super, thanks! Your podcasts are great and a beautiful blog. Cheers! Happy Easter, everyone! …just finished listening to this episode…LOVED it! Their personalities, stories, and enthusiasm were such fun! …thanks for bringing their stories to us via such a positive and inspiring format! I love these bento bags – I have one already that I use for knitting projects, but I’d love to see what else I’d use the various sizes for.